Bedfont® Technical Instruments Ltd (as it was originally called) was established in 1976 after an incident at a large London hospital, whereby a patient was incorrectly administered Nitrous Oxide instead of Oxygen. In wake of this, Bedfont® produced the TM3 Gas differentiator; a simple device which could differentiate between various medical gases like nitrous oxide, air and oxygen ensuring that there were no cross-connections between these gases and enhancing anti-confusion testing by largely engineers. 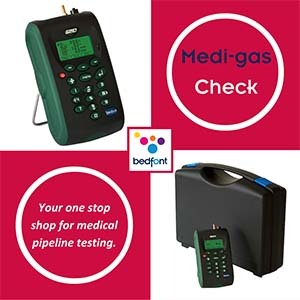 This range has developed over the years and now Bedfont’s entire Medi-gas Check range safeguards patients and staff in accordance with the requirements of UK Government Guidance in the form of the Health Technical Memorandum (HTM) 02-01, and other relevant legislation. The G200 is a low level N2O atmospheric measurement device. It is a fully portable monitor and not only acts as a personal phentermine hydrochloride 37.5 mg for sale alarm, but will also calculate the time weighted average of an individual’s exposure to N2O. The G200 also acts as a leak detection device and will store up to 1,000 readings to be used for graphs and data analysis. The G200 is able to provide readings from 0-1,000ppm in less than 40 seconds and 0-10,000ppm in leak detection mode, safeguarding both health professionals and patients. This product is ideal for dental departments, anaesthetic departments, hospital theatres, as well as recovery, veterinary and X-ray departments. The G210 has been specifically designed for the accurate measurement of N2O, O2, CO and CO2 in one easy to use hand-held monitor. The G210 offers the user a quick verification of gas quality on an easy to read digital screen, with the additional option of being able to enter specific identification numbers for certain monitoring points around the hospital. The G210 has the added benefit of being able to identify contaminants in the piped gas. Complete with data storage and alarms, this monitor is ideal for many of your MGPS verification and testing requirements. This product measures %N2O, %O2, ppm CO and CO2, and is an easy to use monitor with simple calibration, and has quick verification of gas quality and impurities.